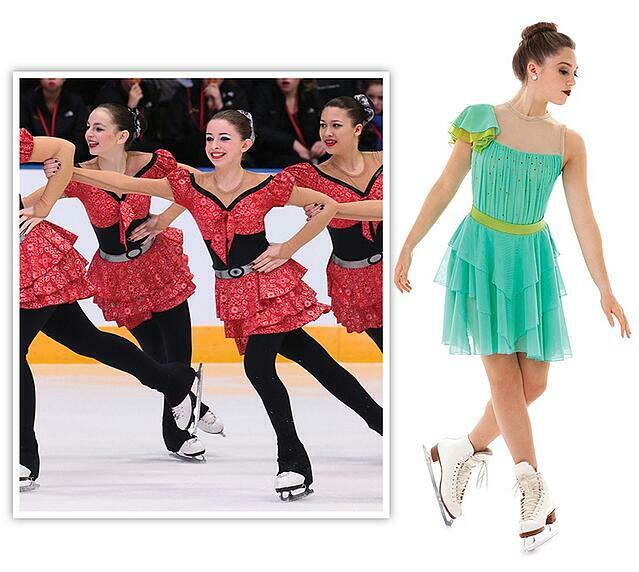 When it comes to synchro skate dresses, the skirt is the one design element that rules! Our synchro customers insist on getting their skirts right and for a couple very good reasons: a great skirt can emphasize choreography, enhance the perception of speed, and create crowd appeal! What team can resist all of that? 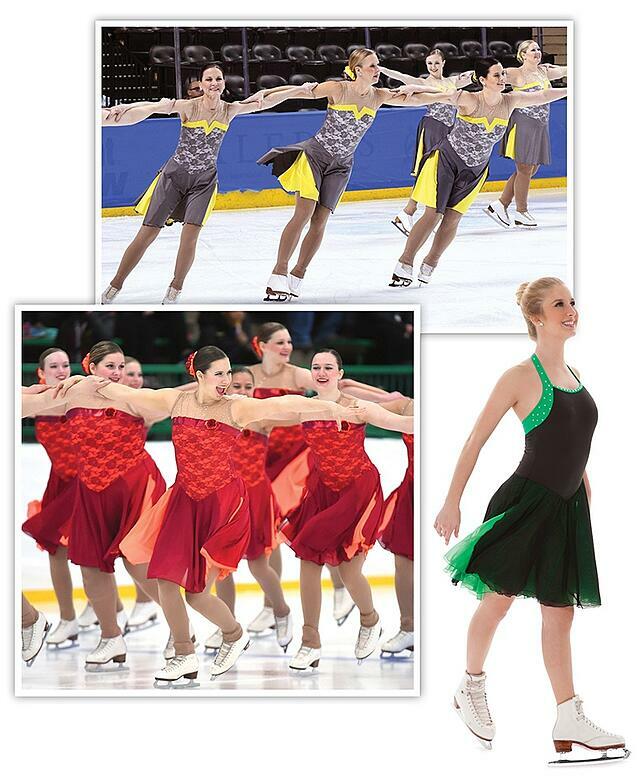 Check out some of our favorite synchronized skating skirts from the past couple of seasons below! We love these modern interpretations of a traditional bustle skirt, hinting at the regal dresses of the Victorian era. The bustle skirt has extra short, full layers along the back side, and adds a little drama and formality! Hands down, this has become one of our favorite skirt trends! 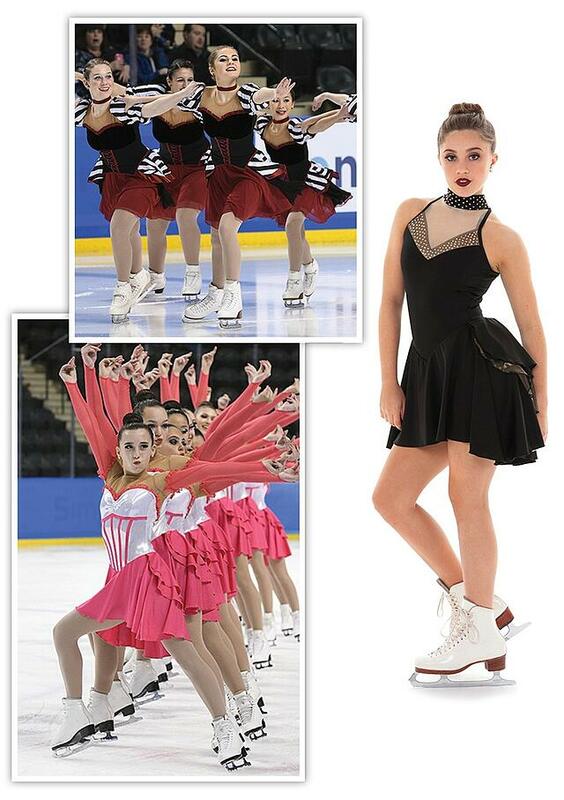 We first saw this look on St. Louis Synergy Junior team at the 2014 Synchronized Skating Championships, and since then the look as taken off for one very good reason: lots of movement! With so many fluttering layers, it adds a lot of energy on the ice. 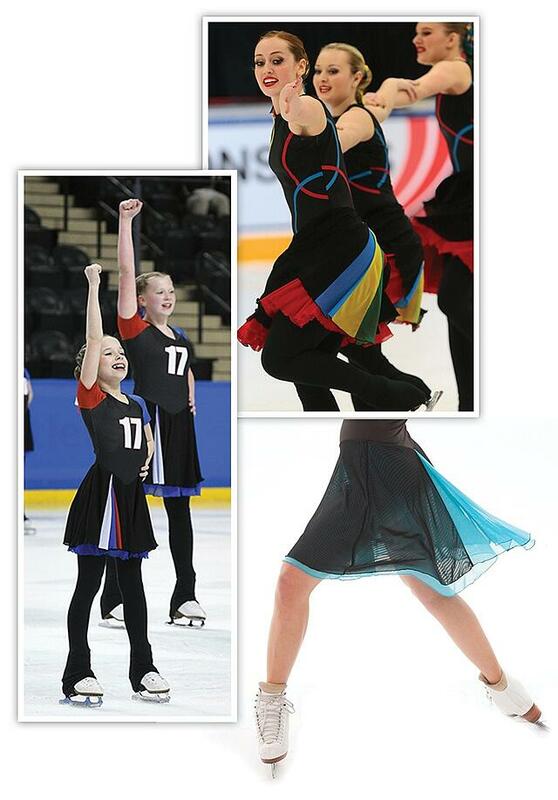 This type of fringe also works around the no fringe rule in the USFSA Costume Guidelines, because it is a cut piece of the skirt instead of the typical string fringe that can fall off. Another look that twizzles well! A tiered skirt has a series of short fluttering layers, which translates to a lot of fullness during spins. It's also perfect for a girly, ruffled look. This is a look that seems boring on the rack, but when you get it on the ice, it really pops! The ingredients: a tops skirt with a slit all the way up the side, and a brightly colored underskirt. The result: with enough speed and movement, the top layer flips up to reveal the pop of color in the underskirt for an eye catching burst of color! A fishtail is a triangular inset of color with a little extra fullness to allow for movement. 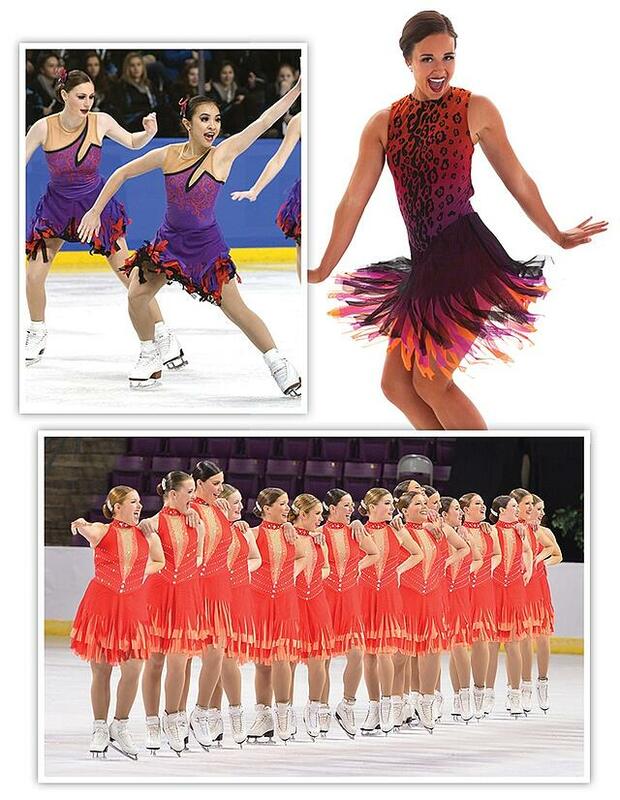 This look is striking when skaters change directions, and show the audience their back (or front!) side for a flash of color! With multiple layers and multiple fabric textures, a layered panel skirt is perfect for an edgy look or a fairy theme! The long slits in the skirt allow the skirt to easily flutter and allow the leg to show through. We especially loved how Cool Dreams's Senior Team used this look for the their Rock and Roll 2017 Worlds performance. Their dress included a "blue jean short" that peeked through and popped during lifts and flips!